An Annual Dance Performance Tribute in Honor of Dr. Martin Luther King, Jr.
BROOKLYN, N.Y. - Jan. 3, 2017 - PRLog -- In celebration of the life and work of Dr. Martin Luther King, Jr., The Center for Arts & Culture at Bedford Stuyvesant Restoration Corporation presents a traditional staple in arts and culture, "Garment of Destiny" on Saturday, January 14, 2017 at 7PM by the 15-member Restoration Dance Youth Ensemble (RDYE) under the artistic leadership ofinternationally renowned choreographers and dancers - Ronald K. Brown and Arcell Cabuag. The stunning signature performances offer a new generation of young dancers the opportunity to preserve our rich heritage and look to their role in building on that legacy in the future. The evening begins with a pre-show conversation led by Brooklyn's own Dr. Clarence Taylor, Civil Rights Scholar at 6PM, moderated by Dr. Indira Etwaroo, Executive Director, The Center for Arts & Culture at Restoration. The concert and pre-show conversation will be presented at the Kumble Theater at LIU, One University Plaza, Brooklyn, NY. "At this time of extraordinary transition and uncertainty in our country, we deepen our commitment to the next generation of artists with work such as this," stated Dr. Etwaroo. "We know that the voices of our young people are critical in ensuring that the 'dream' that Dr. King spoke about continues to move towards becoming a reality." Dr. King's ideals have served as a roadmap to voices of creative expression for generations and the Restoration Dance Youth Ensemble moves forward in the spirit of this great 20th century Civil Rights leader with works choreographed by Brown and Cabuag, as well as veteran choreographers/instructors Nathan Trice, Alia Kache, Karen Thornton, and Shayla Caldwell. The company will also dance alongside professional guest artists from EVIDENCE, A Dance Company with solos performed by some of the talented RDYE students. 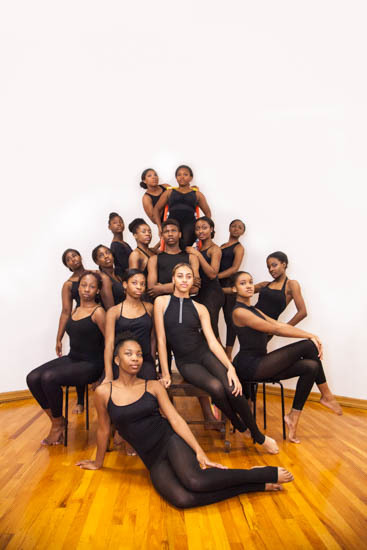 Restoration Dance Youth Ensemble (RDYE),led byinternationally renowned artists - Ronald K. Brown and Arcell Cabuag - iscomprised of dancers ages 14 – 18 with an emphasis on preparing students for college, conservatory and university study through dance. Youth Arts Academy (YAA) located at 247 Herkimer Street, Brooklyn is a cornerstone of The Center for Arts & Culture at Restoration. The Youth Arts Academy was created in 1998 to provide multi-disciplinary arts instruction in dance, theater and drumming in the heart of Bed-Stuy and it developed under the leadership of community arts pioneers Marie Brooks and Peggy Alston. Now in its 19th year, the Academy meets a critical need in the community by providing an after-school and weekend space for over 200 youth between the ages of 3 and 18 years old to hone artistic proficiency and develop citizens of the world in a world-class artistic environment. The Academy runs for 32-weeks from October-June with summer intensives in July and August. Ronald K. Alexander, Ronald K. Brown, Arcell Cabuag and Karen Thornton are globally and nationally-recognized artists and educators newly-appointed in 2016 to make up the YAA leadership team. This team leads the Youth Arts Academy with instructors who are leading practitioners in their artistic fields and a core curriculum that aligns with the NYC Blueprints for Teaching and Learning in the Arts.